Featured Artist for Challenge #193! 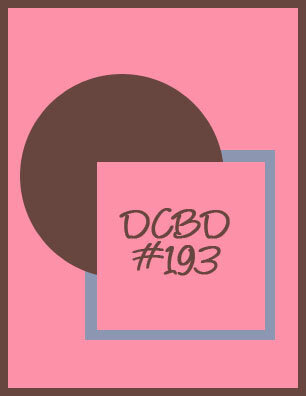 But no break until I share with you the name of our Featured Artist for the Sketch Challenge #193. Hey, it was a toughie this week! Actually, it always is, as we have just the greatest group of followers from all over the world who participate in our challenge. Thanks to you all! 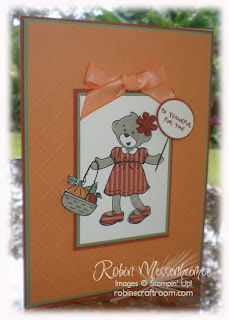 We were so impressed with Patti's color scheme for this greeting card, as well as with her use of embellishments (and I, personally, consider texture as one of the greatest current embellishment trends!). 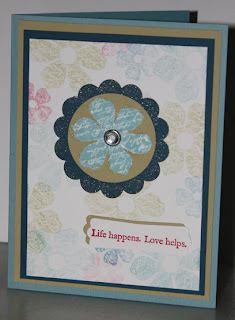 I love that the top color of the layered daisy die-cut was the same color as the background. 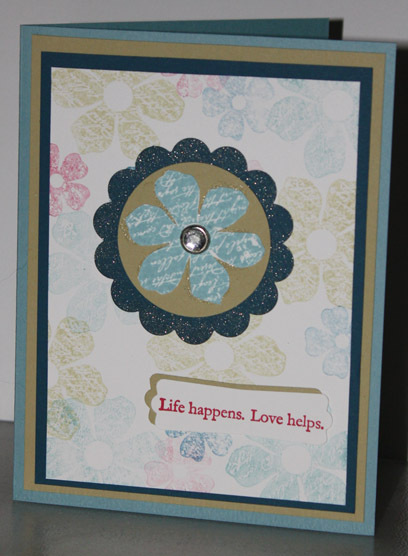 It made the darker daisy layer stand out so beautifully, don't you think? 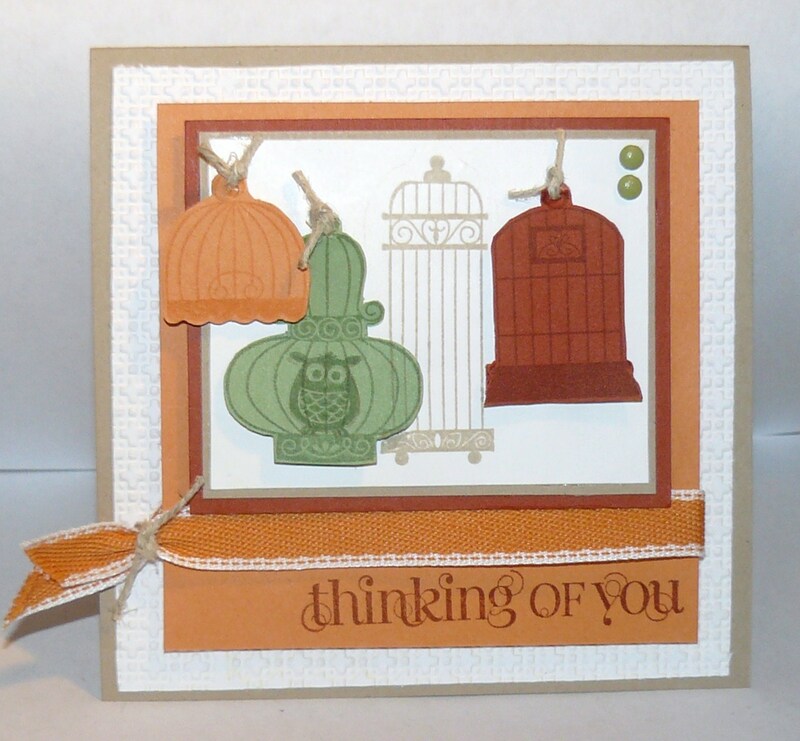 The sponged edges of the bird and its wing really make it pop up from the crisp background square formed by the Marina Mist Card Stock with its Whisper White mat. 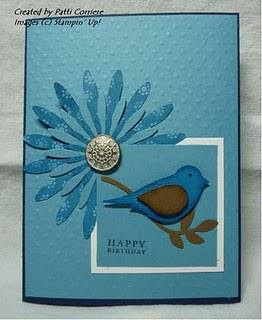 Love how the dimensionals help the bird form a beautiful shadow to draw attention to this element of the card. Thanks to everyone who joined our challenge this week! You all had great cards, and we're hoping to see you back here again with a future challenge. 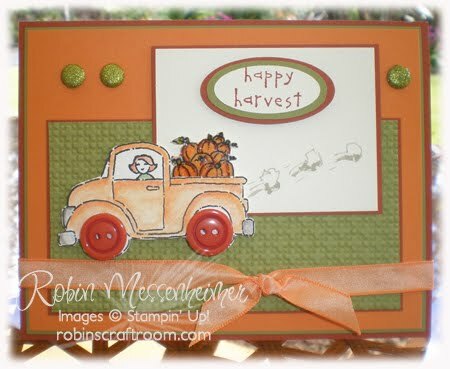 Meanwhile, be sure to visit Patti's blog for some more of her beautiful creations. Featured Artist for Challenge #192! Wow, another week has flown by and the Divas have spent a coffee break (or two?) pondering all the gorgeous designs submitted by our artist friends for our Color Challenge #192. We are so delighted with all the various designs submitted for this challenge (Stampin' Up! 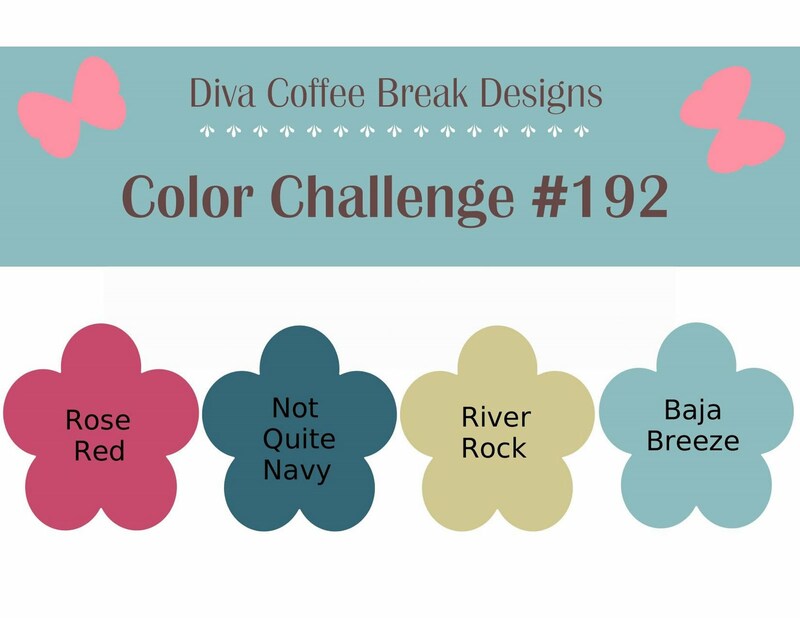 colors Baja Breeze, River Rock, Rose Red and Not Quite Navy). One or two of us had to scratch our heads to come up with our own samples for the challenge - but not you gals! I was especially amazed by how you all just got those colors out there and created away! 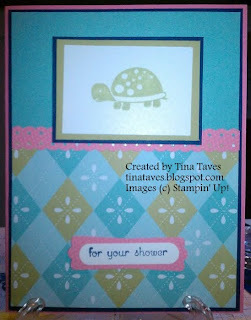 And I think it's safe to say that the word, "Artist," really applies to this fabulous design. My personal favorite part of this card is the blending of the colors on the butterflies that shine so beautifully with Shimmer Paint. Then there's the way that Amy accented her layers. Look at that teeniest of a Whisper White layer between the Baja Breeze and the River Rock layers. 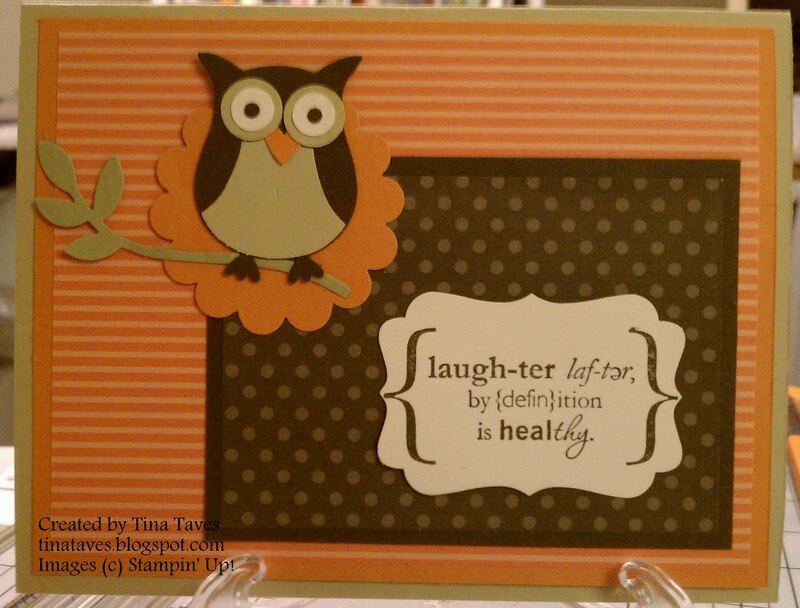 That, and some dimensionals to lift the focal layer a bit off the rest of the card, just made the whole layer pop! 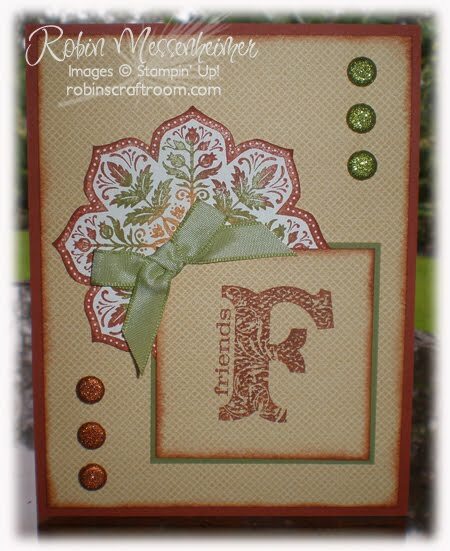 I also love it when there's such a nice symmetrical layout in the base of a card and then the focal layer is placed off center, with a ribbon accent. 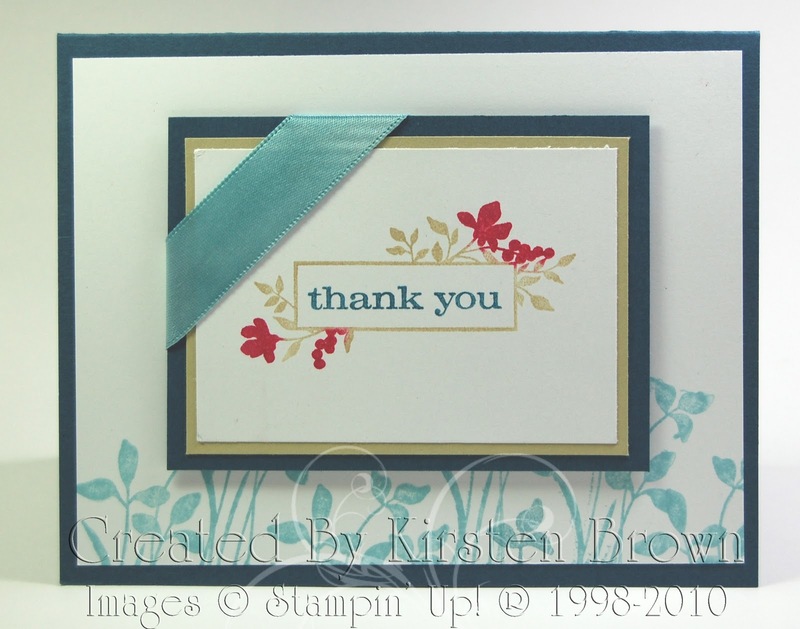 And this ribbon accent, with two strips running parallel to each other both vertically and horizontally is absolutely luscious! 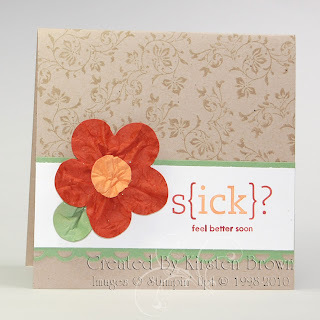 Fantastic design, Amy! Thanks so much for playing with the Divas this week! 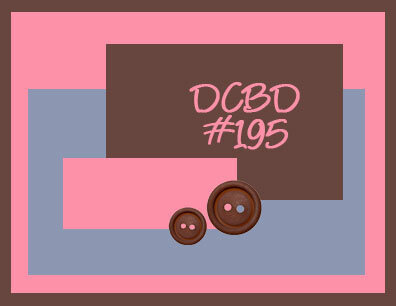 And for the rest of you, be sure to check out Amy's other lovely art work on her blog. And come back this coming Wednesday for another sketch challenge with the Diva Coffee Break Design Team! Featured Artist for Challenge #191! Ah - a peaceful Saturday morning, and this Diva is thinking peaceful Baja Breeze thoughts while sipping her second (or is it third?) cup of coffee. 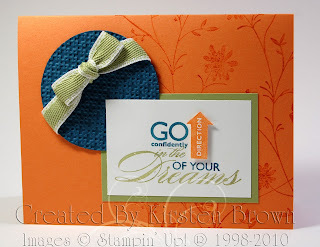 There are TWO new boxes of Stampin' Up! goodies on my shelf just ready for some weekend play time. But first - we need to recognize our Featured Stamper for our Sketch Challenge #191. It's none other than Lynn Hayes, with her gorgeous Baja Breeze and Whisper White Winter Wonderland. 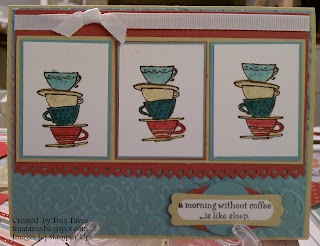 I'm not quite sure where to start in sharing what we thought were the elements that make this a spectacular card. Just to start somewhere, you can't possibly not agree that the Baja Breeze polka dot print ISN'T polka dotted - it's definitely snow sprinkled! Just look at the snow on that cozy cottage, and you can just see all those snowflakes gently falling to cover the roof and the ground. Oh, and that glitter just adds to the serenity of the scene. A perfect winter's day! 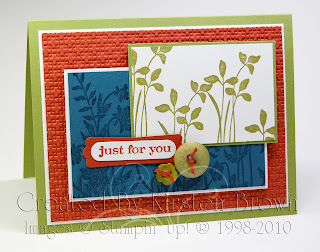 Another beautiful feature of this card are those gorgeous trees with a spash of color that is NOT Baja Breeze. 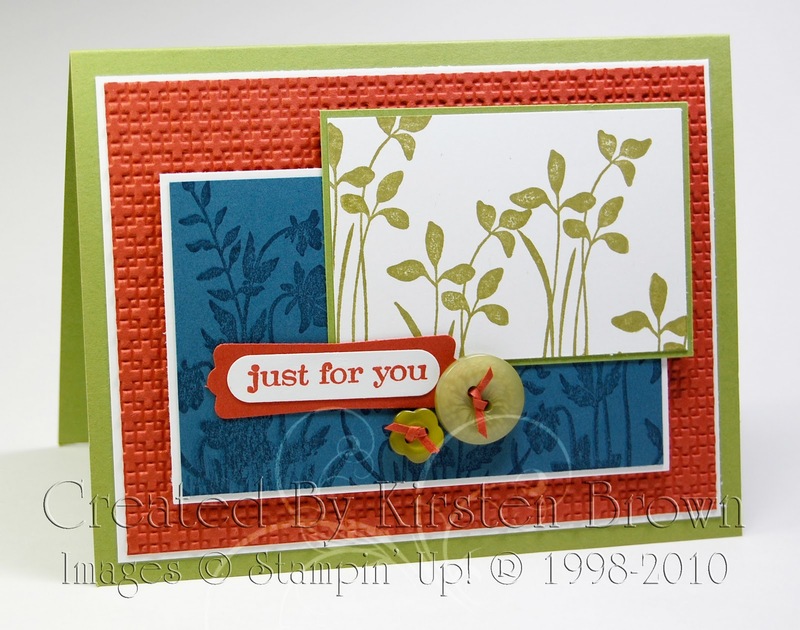 This is a time-honored technique to have a monotone design with just a touch of another color and Lynn carried it off to perfection. Another perfect accent is the punched snowflake. If we didn't know before that the paper was covered with snowflakes, we certainly do now! 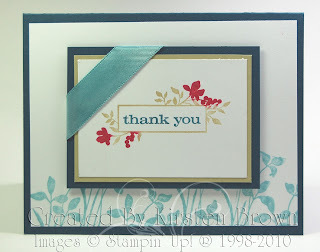 And I love the use of the Stampin' Up! 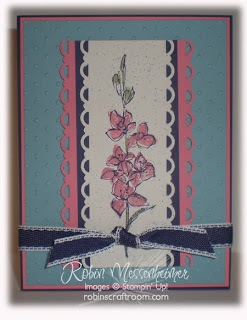 Scallop Trim Border Punch peeking out from behind the central picture. Lovely take on that point of our sketch! 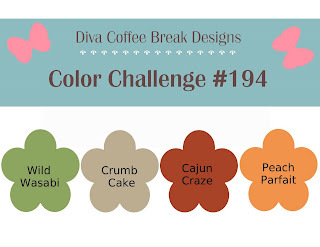 Thanks again to Lynn for being a part of this week's Diva Coffee Break Design Team Challenge! 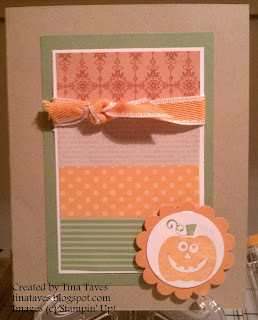 Be sure to visit her blog to enjoy all of her other fun designs! 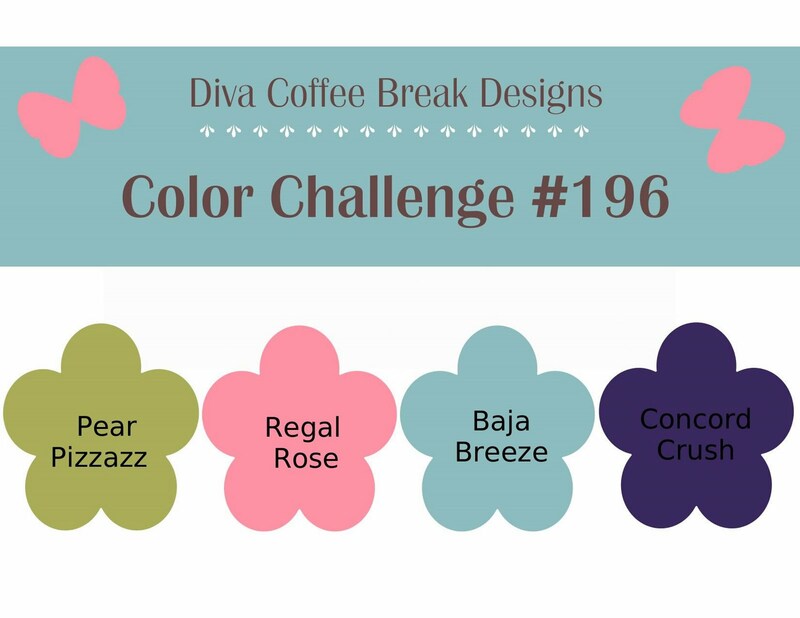 Featured Artist for Challenge #190! 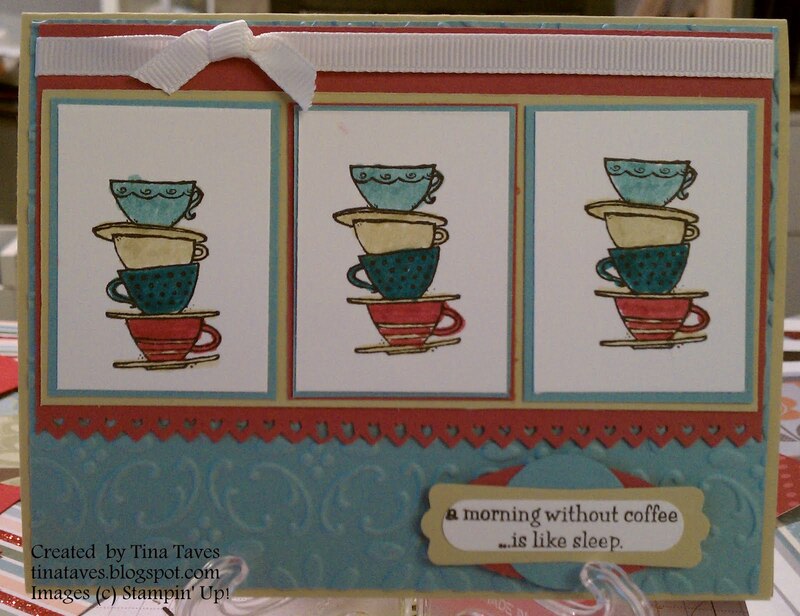 Good Saturday morning to all of our loyal Diva Coffee Break Design Team followers! I hope that you're all ready for a fabulous Labor Day Weekend - and that Hurricane Earl isn't spoiling any of it for you! By this time next week, all the kiddos will be back in school (they've been back in school for 3 weeks where I live) and we on the home front can take a deep breath in peace and quiet during coffee break time. So now onto our Featured Artist for Challenge #190. 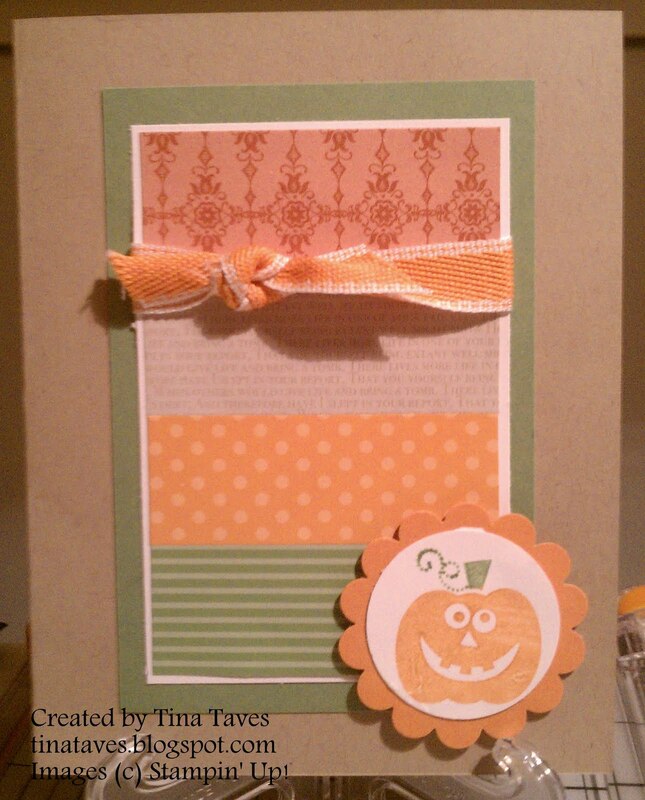 Congratulations to Lynn Hayes who was our overwhelming favorite contributor for a fun color challenge. One thing that I particularly like about Lynn's design is the organized way in which she positioned the colors of her butterflies and the colors of the mats behind them. If you look at the top butterflies, the mat for the butterfly just below it is the same color as the stamped image. 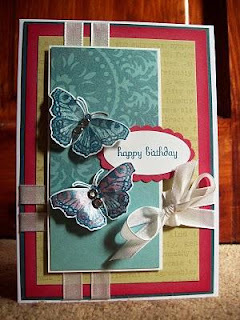 But the mats for the top stamped images are the colors of the bottom butterflies diagonally opposite. Clear as mud? Just check them out. This is a great way to mix up the colors without being boring! Then mounting all those butterflies with dimensional adhesives against the textured background really sets them off so very nicely. It's her own personal butterfly collection without having to take any of those beautiful critters out of the wild! Thanks, Lynn, for playing with the Divas! We look forward to many more contributions!